Remember the old adage, “an apple a day keeps the doctor away?” Well, it’s 2017, and with this healthy dessert hack, there’s no reason an Apple Fritter Cake a day can’t keep doctor away, too! Plus, doesn’t all produce sound better when proceeded by the words “fritter cake”? With Mother’s Day around the corner, you’re going to need a show-stopping recipe to put your love on display, and trust me, this will do the trick! Have you ever seen an aerial view look so perfect? This gluten free cake recipe is made with whole, real apples, and can also be vegan if you omit the eggs and replace them with flax eggs! 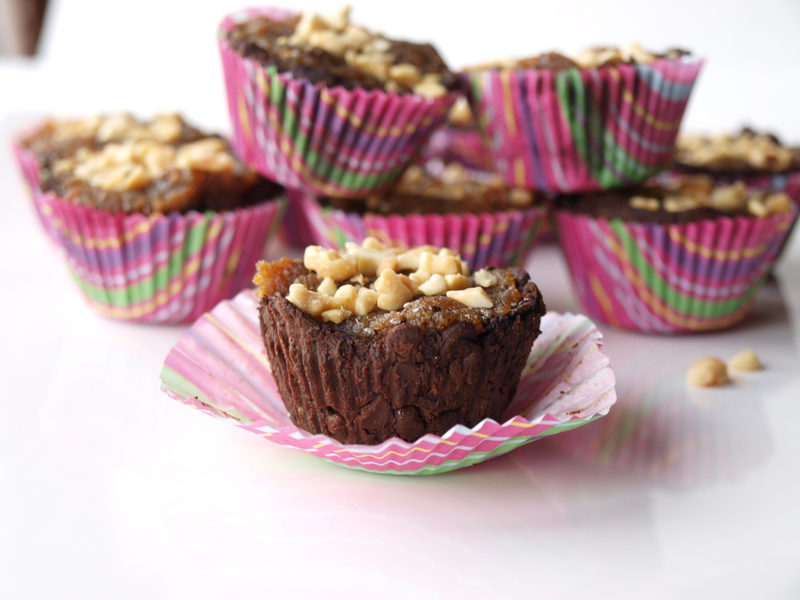 You can also reduce the coconut sugar in this recipe if you prefer a little less sweetness. Look, now there are two cakes! This cake is just right for Mother’s Day breakfast in bed, or as the perfect pairing when you’re enjoying an afternoon snack! The apples plump up when baked, and when served warm, this cake is literally heavenly! It also presents beautifully, so if you’re looking for a real show stopper to take to special events or get togethers, this baby is sure to make everyone wonder if you use special magical powers when you bake! Preheat oven to 350 degrees. Grease and flour your bundt pan so your cake will look like a giant donut! Peel your apples and discard peel. Chop the apples and mix with a couple of spoons of coconut sugar and a tablespoon cinnamon and set aside. Beat coconut oil and ⅔ cups coconut sugar, and then slowly add eggs followed by cashew milk, then flour, salt and baking powder. Put half of apples in pan, and sprinkle with half of cinnamon sugar mixture, followed by half of batter. Repeat with remaining apple/sugar/batter mixture. Cool for 15-20 minutes before removing from pan and cooling to room temperature. We love seeing how your recipes turn out, so don’t forget to tag us @shockinglyhealthy to show us how your cakes turn out!